A very unique building, the Atomium was built back in 1958 for the Brussels World Fair. The building was designed to replicate an iron crystal. 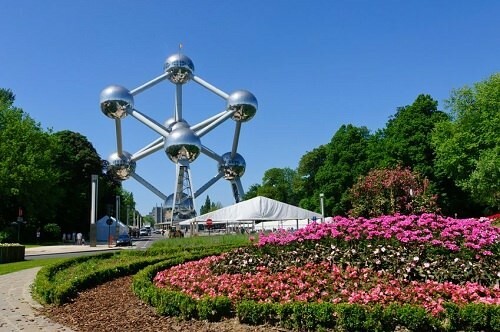 It is 102 meters high and features nine stainless steel balls which can be accessed by escalators. The escalators run inside tubes that connect the spheres. The very highest sphere is a restaurant, while others hold exhibition halls and public meeting places.